Scent: Woody, earthy, herbaceous, spicy almost smoky. Action: Antiseptic, antispasmodic, calmative, grounding, rubefacient, sedative (to the nervous system), stimulant (circulatory, production of red corpuscles), aphrodisiac, cicatrisant, nervine, tonic, vulnerary. Benefits, Indications: May help acne, anxiety, arthritis, cuts, depression (including postpartum), insomnia, rheumatism, stress, skin care (oily, aging, irritated). 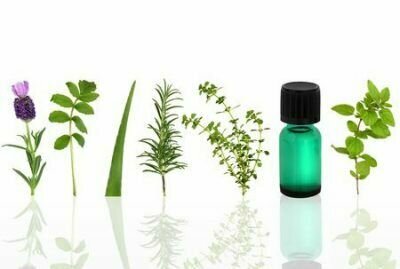 Vetiver oil calms and soothes the mind and helps to dispel anger, hysteria and irritability and neurotic behavior can also be reduced as stress and tension is reduced. Precautions: It is considered a safe oil and is nontoxic, non-irritant and non-sensitizing. A relative assessment of essential oil of Chrysopogon zizanioides and Matricaria chamomilla along with calcium hydroxide and chlorhexidine gel against Enterococcus faecalis in ex vivo root canal models.